The Ind. 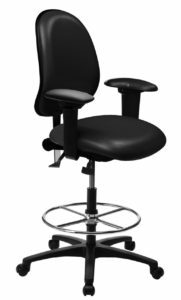 F Series is designed to meet the rigorous requirements of industrial environments while providing users with superior ergonomic support. 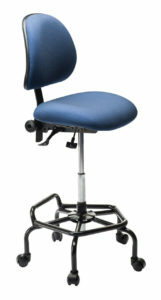 Features such as the 14 gauge steel tube 26” multi-level and 22” bi-level industrial bases with an extra polyurethane coating and traction grit on footrests make the Ind. F series a durable solution for harsh factory environments. 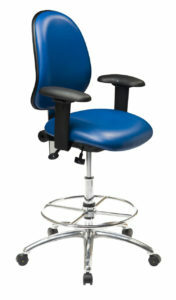 The Ergo F ESD Series provides the comfort of foam-fabric/vinyl chairs combined with the dependable performance of ergoCentric ESD seating. 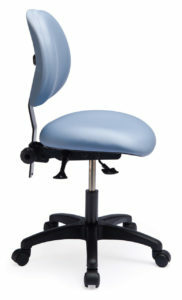 To allow electrical charge to pass through the chair, conductive fabric/vinyl is secured to copper bands within the seat where metal t-nuts are installed on the copper bands. Metal screws are used to connect the mechanism to the t-nuts which allows the charge to continue through the entire down to the conductive floor. 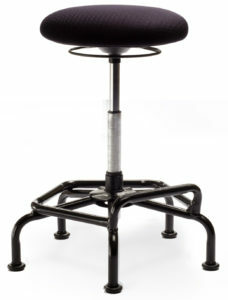 The Industrial Spider Stool features a 22” Bi-Level spider base with an extra polyurethane coating and traction grit on footrests for extra durability making it ideal for harsh factory or industrial environments. 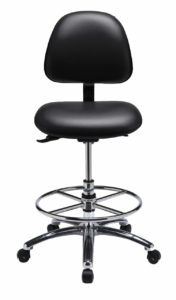 The Wipe-Down Bench stool includes a polyurethane seat to resist damage from water, chemical and grease spills in addition to punctures and tears. 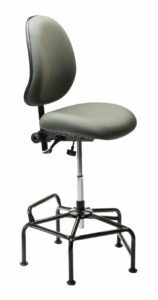 The easy-to-access handle, located in the seat, make re-locating the stool hassle-free. 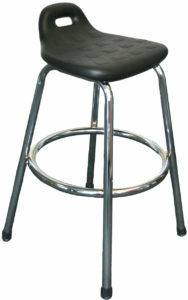 The Wipe-Down Bench Stool is ideal for wash-down and food manufacturing environments.